Sorry for the very long absence. I was admitted to the Graduate School of the University of the Philippines and am now currently residing here in Los Baños, Laguna. As always, the many gardens here have rekindled my passion for the genus Philodendron. Los Baños is actually famous as a major supplier of Philodendron bipinnatifidum (P. selloum) leaves in Dangwa and other flower markets. 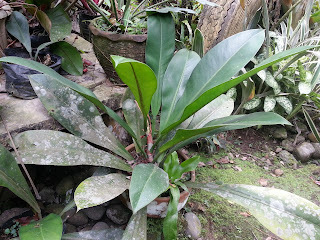 P. bipinnatifidum locally called “silom” is so common here and yet quiet rare in other parts of the country, like in our place in Sindangan, Zamboanga del Norte. I think I am one of the first to bring some. I gave 30 plants to my Aunt last year, which also is into gardening aroids and owns a flower shop. 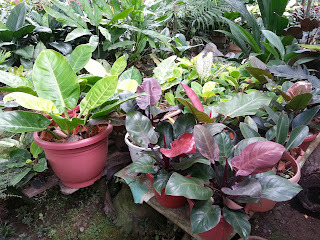 Last December, I visited Robelle Garden Center in Calamba to look for some Hibiscus rosa-sinensis. 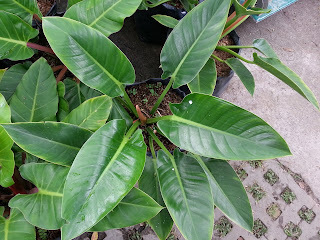 One of the stall owners, Mr. Sol was very nice and when I informed him I am into Philodendrons, he ushered me to a part of his greenhouse to show me a new hybrid he was able to acquire. I was totally stunned by this hybrid. It was so beautiful it looked surreal. I took a photo and promised someday to return to buy one or two if he is successful enough to propagate it. 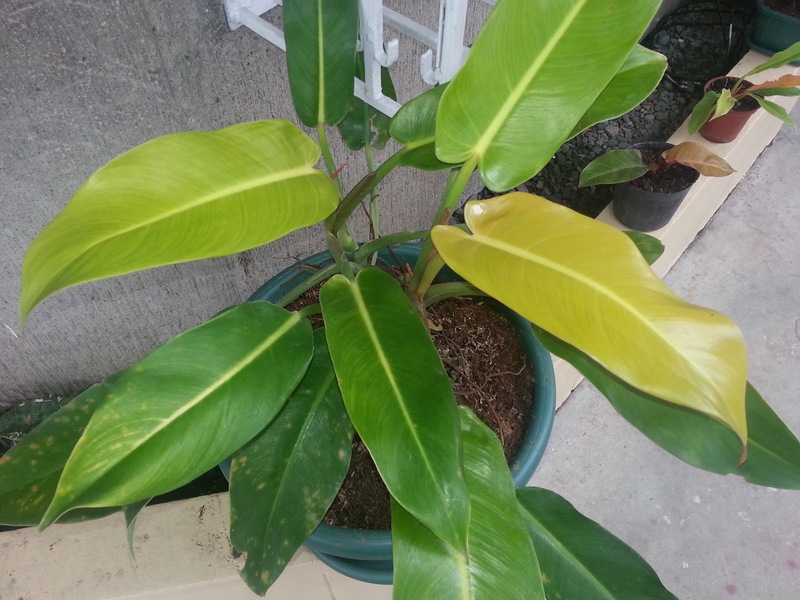 He called it Philodendron ‘Golden Serratum’. Unfortunately, searching google proved futile, as no plants of that name was appearing. 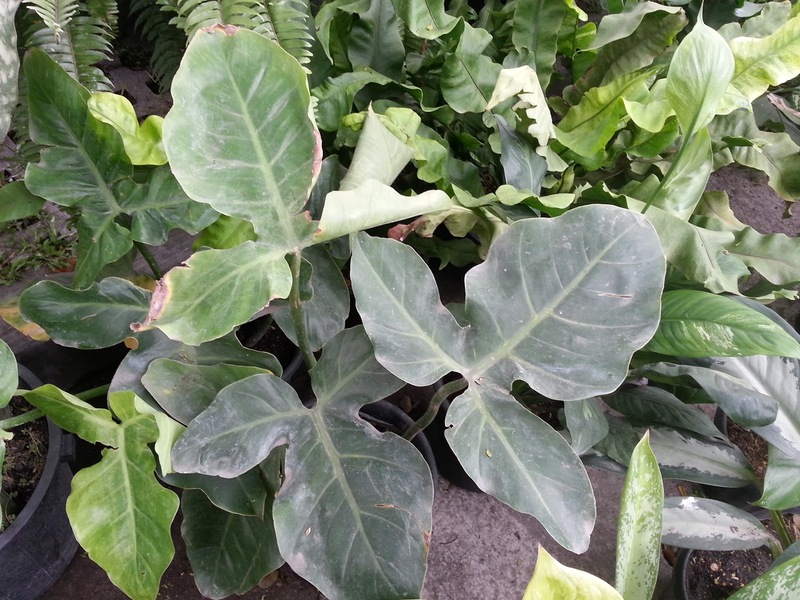 A close one was the plant Philodendron ‘Moonlight’ x ‘Serratum’ hybrid. This was the photo I took last December. Yesterday, I was able to return to Robelle Garden Center to hunt for an unknown Meconostigma I happen to see in one of the growers here in Los Baños The asking price was too high here so I looked around if the plant is also offered in some of the stalls at Robelle Garden. 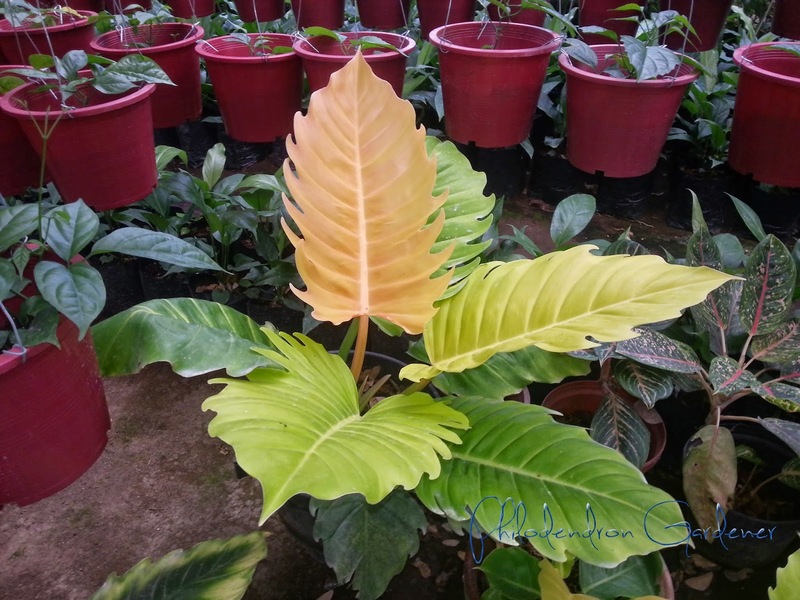 Indeed, one is offered for PhP1,500.00 for a medium size plant. 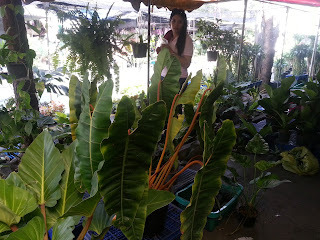 I ended up buying the two plants here for PhP500.00 and PhP100 for a smaller one. 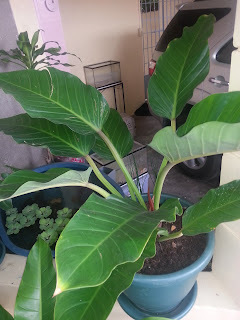 This was the bigger of the unknown plants I bought this morning. When mature, this plant should look like these. I am very excited. 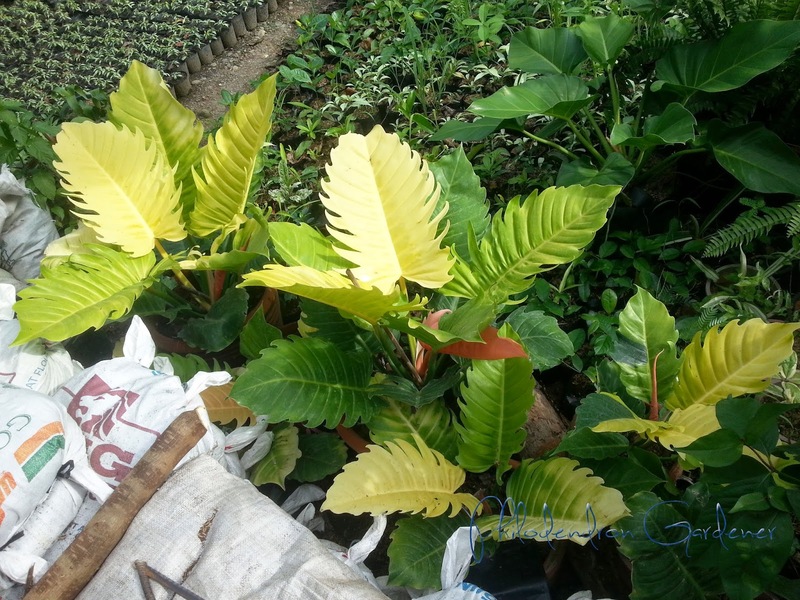 Anyway, I asked the gardeners if the plant P. “Golden Serratum” is now for sale. 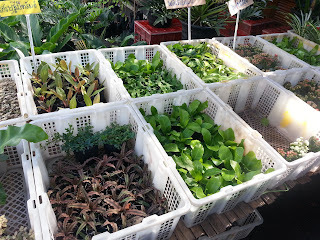 Regrettably, some small plants were displayed but still not for sale. But they told me that the original plants have grown much bigger already and are now at the other greenhouse also owned by Mr. Sol. 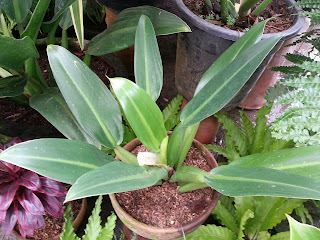 I went to that greenhouse, and to my astonishment, the plants really grown quiet big and even more beautiful. Sadly, still not for sale. These were the plants I mentioned. I went home quiet happy. I have a lot of Philodendrons to return to, or maybe buy next month, like this one. It looked like Philodendron renauxii. 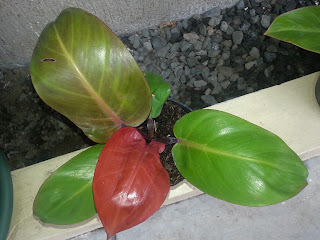 The leaves have red edges. 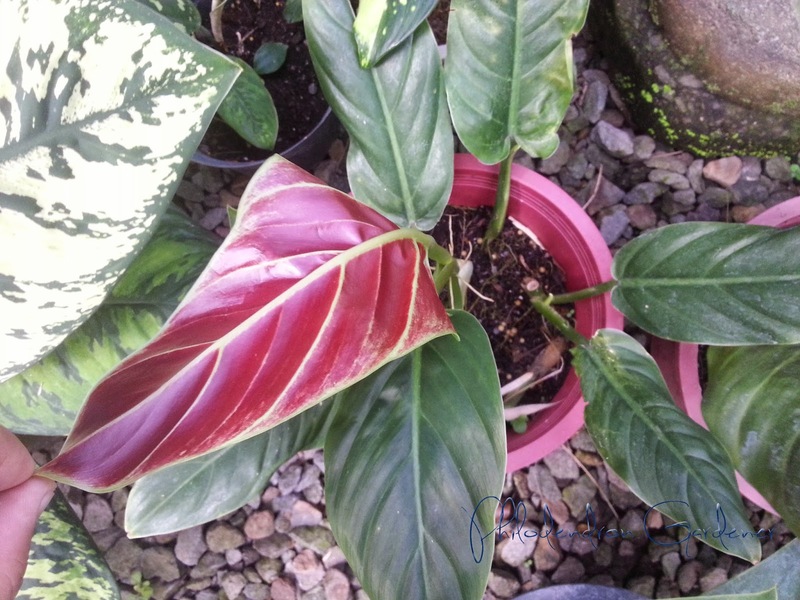 This one is Philodendron subhastatum with its very nice red underside. It’s nice to be writing again about my favorite plants. Happy gardening everyone! 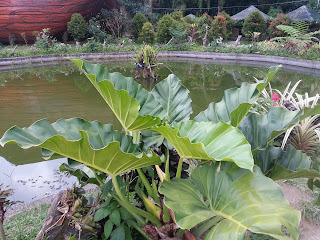 I visited some gardens in Makilala, North Cotabato and was amazed by the selection of beautiful plants there. I also visited a farm of a banker friend and was also pleasantly surprised by his collection. 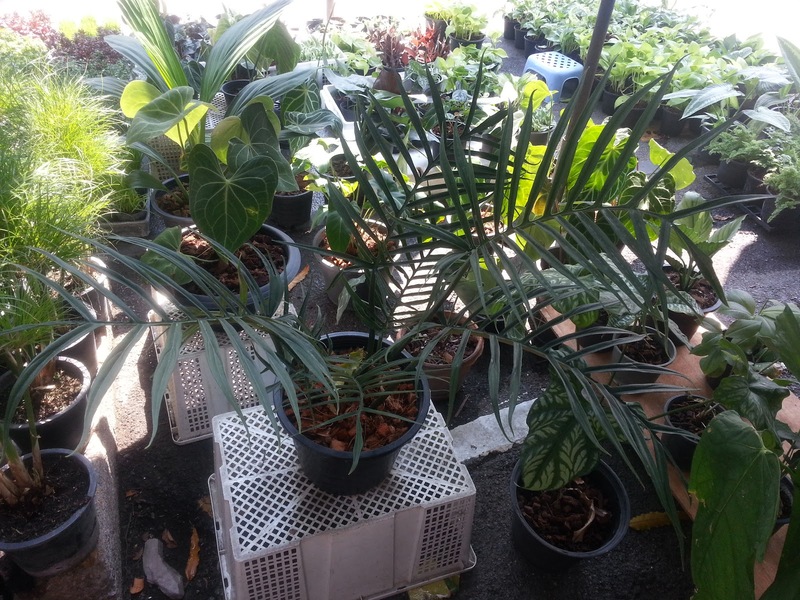 The plants for sale were good specimens and are much cheaper than in Manila Seedling Bank. 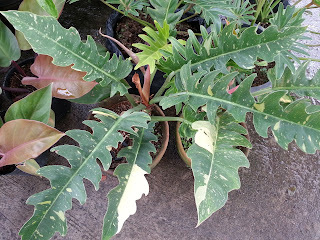 I purchased some for my sister in Sindangan, Zamboanga del Norte (A small red bird's nest (P. melinonii) and its dwarf cultivar, a 'Lynette' (P. campii) a P. lacerum, some P. erubscens hybrids, a juvenile Monstera deliciosa and some palms. All will be packed in a cartoon and will travel with me to my home province. These plants would be a nice addition to her new house. 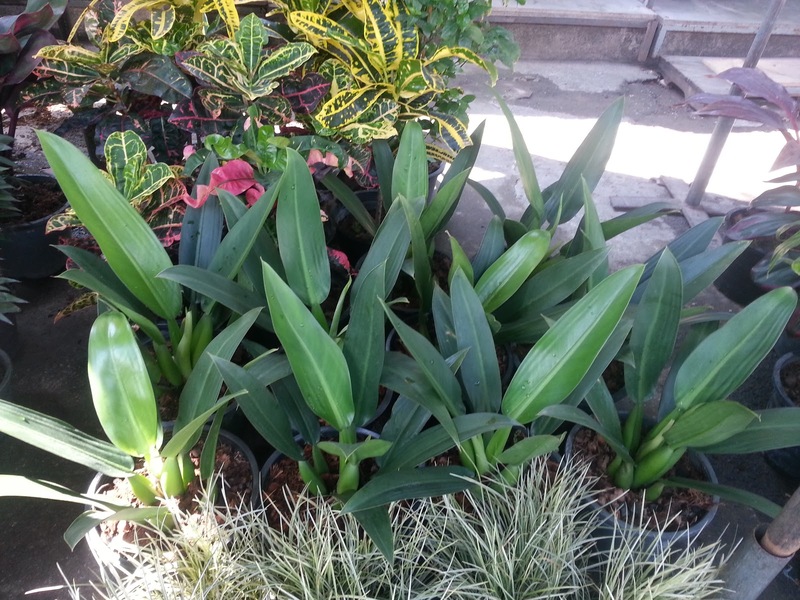 Some plants in Makilala, North Cotabato. I am very glad to have visited some gardens in Makilala while I visited the piggery farms using my feed formulations. The philodendrons and aroids in general were well represented together with some palms and sun-loving plants. Of course, I went directly to the area were there are nets protecting the shade-loving plants below. 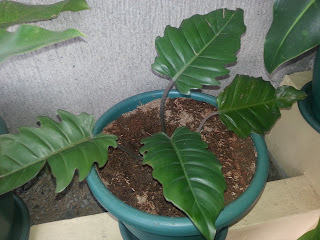 This is a unique Philodendron, and may be a P. insigne. 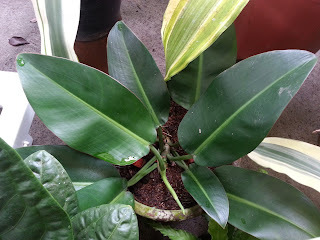 This plant loves to climb and the owner had cuttings to control the growth. 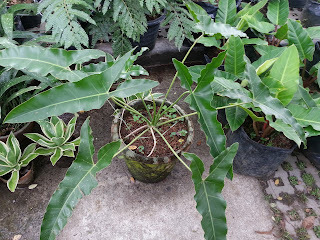 It is a very beautiful plant that looks like an Asplenium nidus or an Anthurium sp. rather than a Philodendron. 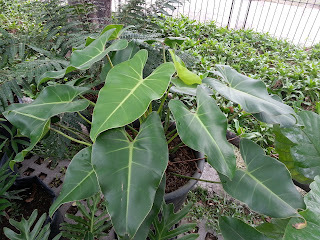 Here's a shot of some of the Philodendrons in the garden. A beautiful specimen of P. x 'Moonlight' at the left and P. x 'McColley's Finale' (Cherry Red) adt the foreground. The plants were in excellent condition owing to the expertise of the garden owner. At the back of the farm, a nice collection of red colored Philodendrons were growing nicely with only the leaves of the trees giving them their much needed bright filtered light. 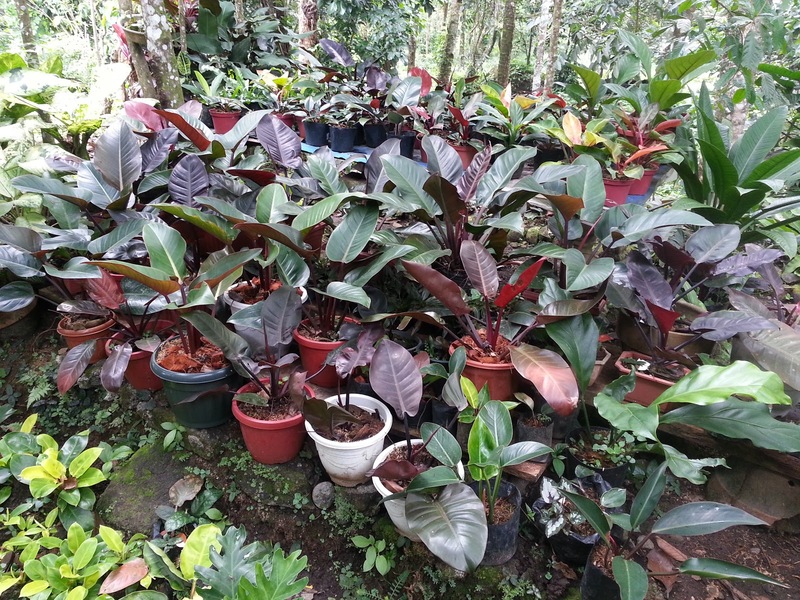 The collection include P. x 'Imperial Red', P. x 'Black Cardinal, P. x 'Red Congo', P. x 'Bird Congo' (as called by the sellers owing to its beak-like narrow leaves) and a P. x 'Red Congo Compacta' (a smaller 'Red Congo' with compact growth and a price tag to much). 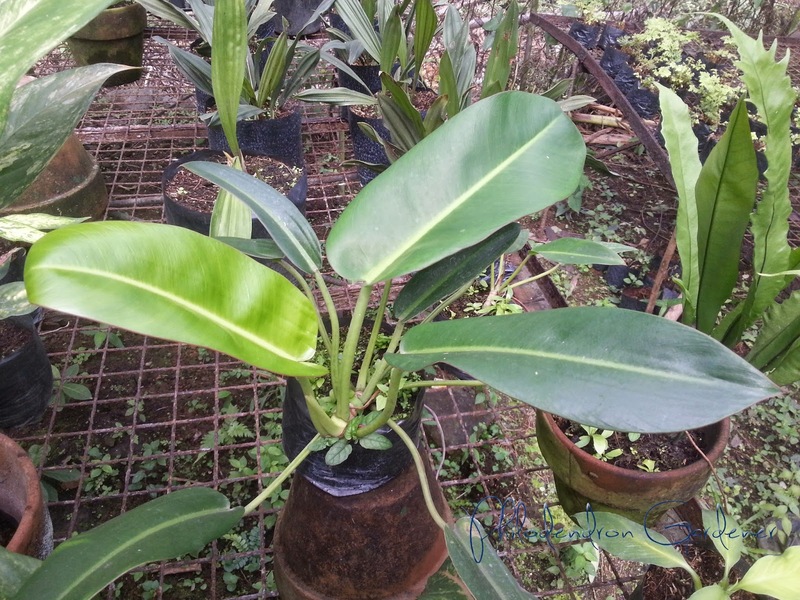 A banker friend of mine, which is also a Philodendron fanatic invited me to his piggery farm which he transformed into a well-landscaped resort farm. I never expect to see really big specimens in his farm. The following were some of his plants. This is a variegated hybrid. 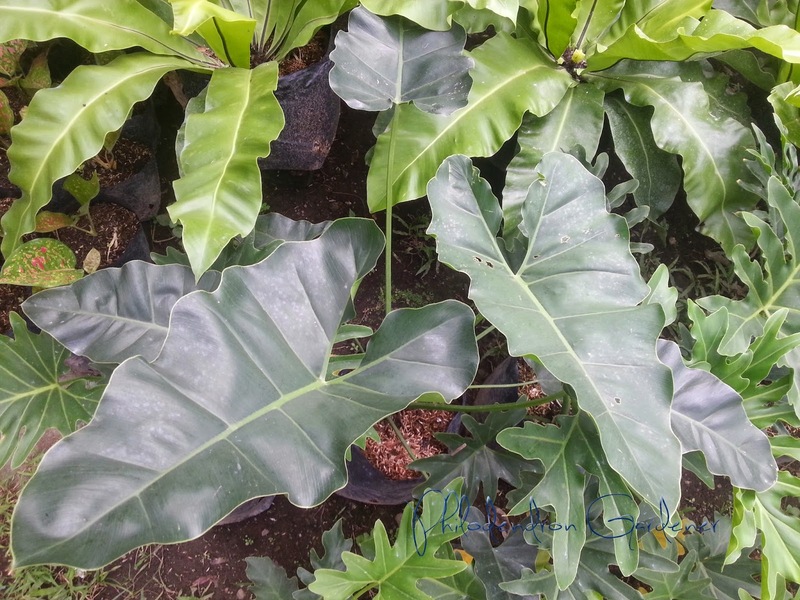 This plant look like P. x 'Imperial Green' and is the most abundant Philodendron in the farm. It was planted all over the place. I can't imagine how much his plants cost but he told me he already spent almost half a million on plants alone. His plants were in great shape when I visited his farm. 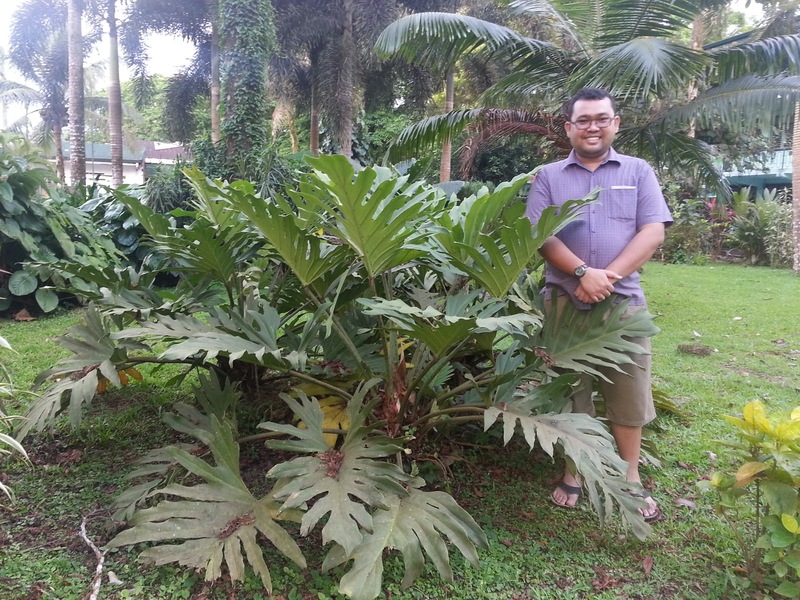 This is one of the largest Philodendron in the farm. The caretaker call this P. x 'Orlando'. A very beautiful self heading plant. He claimed the plant loved the coconut husks he put around it. The roots benefited from the organic matter from the decomposing coconut husks, and more nutrients means bigger and healthier plants. 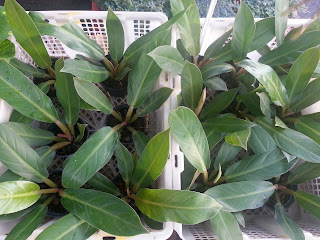 This is also a large hybrid with reddish tinge on the new leaves maturing into green. Some parts of the plant receive direct morning sun, but enjoys the shade of the mango tree for the rest of the day. A nice young specimen of P. x 'Pink Princess' with a whole leaf in pink. 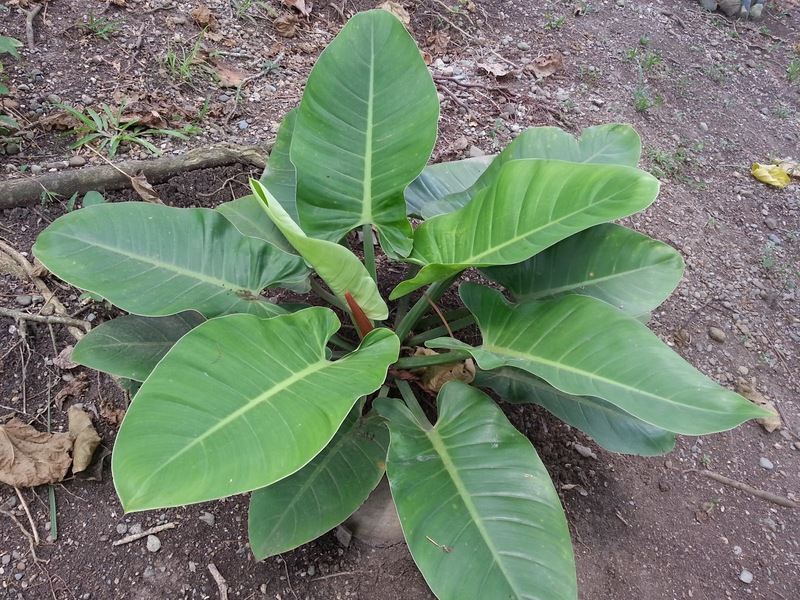 I recommended that this nice plant be transferred to a tree or given a totem to climb to. 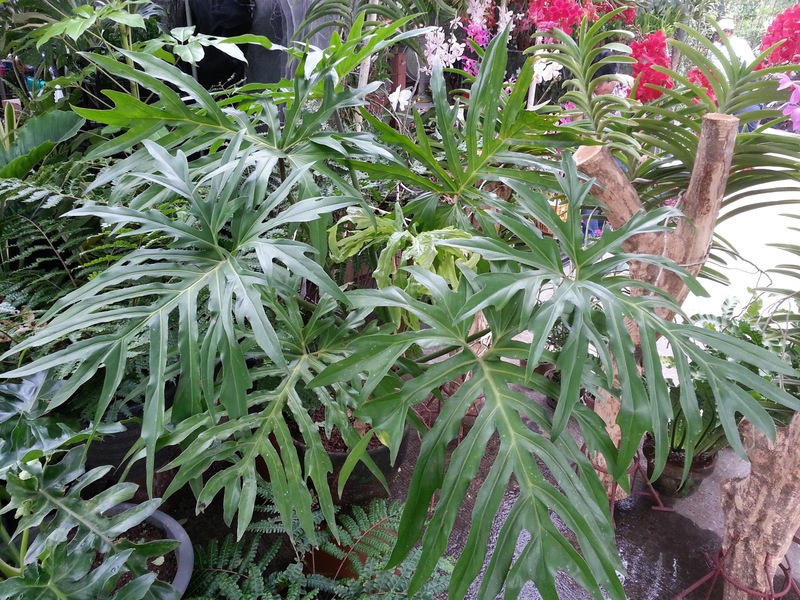 Although I forgot to take a picture, but the largest of his collection was a mature Red Bird's Nest Philodendron ( Philodendron melinonii) which he bought for quiet a sum of money. The garden is still a year old but the whole landscape looks promising already. I look forward to visiting again and see his plants looking more fuller, mature and producing pups for others to enjoy. Mindanao really has a good climate for Philodendrons. I look forward to the plants I'll be bringing home to Sindangan, Zamboanga del Norte. May they grow to their biggest and thrive for us to enjoy for many years to come. Last Black Saturday, my friends and I went to Lucban to visit Kamay ni Hesus and sample the fine cuisine of the area. I never thought that I would find the largest of my top favorite Philodendron, Philodendron x 'Olympiad' (maybe a true Philodendron pinnatifidum) and a possible Philodendron maximum. The specimens in the gardens of Southern Luzon State University and Kamay ni Hesus were truly majestic. This giant Philodendron x 'Olympiad' was planted at the base of a tree near the College of Arts and Sciences. The bright filtered light proved to be the best place to maximize the growth of this hybrid. 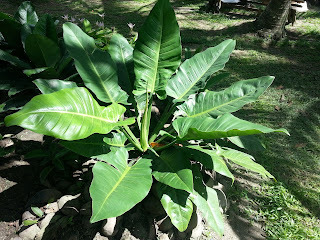 I was even swallowed by how wide the spread of its leaves! This is a group of Philodendron x 'Olympiad' planted in the main garden together with another giant specimen of Medinilla magnifica. Philodendron x 'Olympiad' is the plant that started my addiction to Philodendrons, and lately I had 2 healthy specimens from my good friend Oyeth. 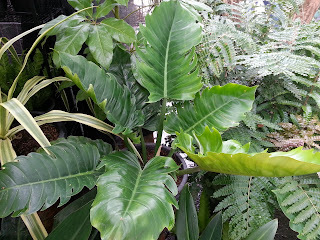 The plants above were possibly Philodendron maximum. They were planted near the pond. Sadly, some succumbed to direct sunlight and showed signs of sunburn. The plants were truly large, up to 2 meters in spread. 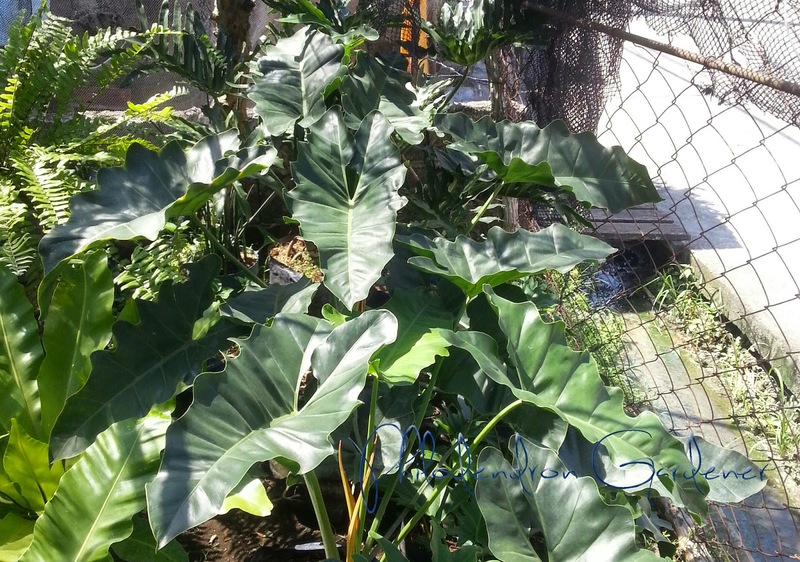 (Update 8/8/14): The plant above looked more like Philodendron giganteum. Last week, I attended the VIV Bangkok to look for new products for the company. Of course, the chance to visit Chatuchak Market (also known locally as JJ Market) was top of my priority. Incidentally, the flower market at Chatuchak opens every Tuesday and Thursday so we were able to visit because we were there on those days. 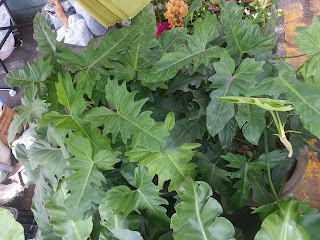 True enough, the main street around the market was full of plants from big trees to small potted plants. Of course, my favorite aroid is also present. The Aglaonemas were in very good condition with brighter reds and pinks compared here in Manila. 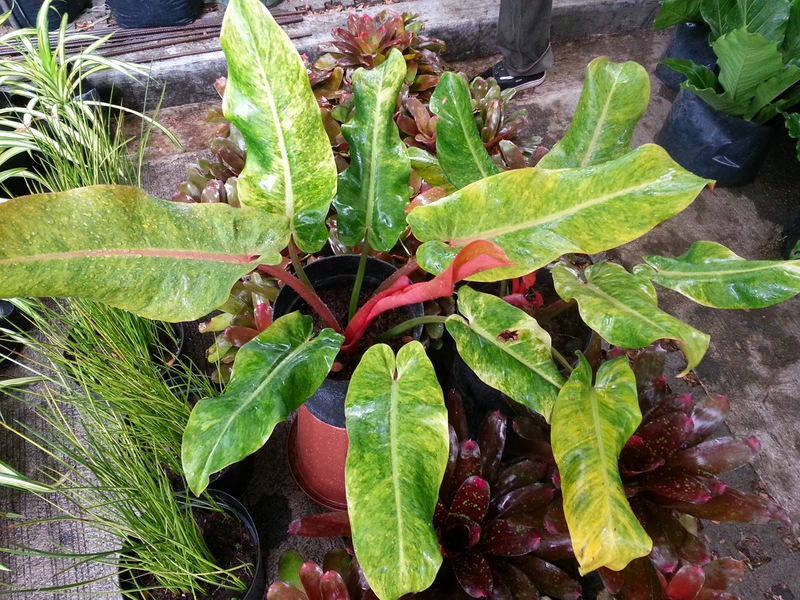 The Philodendrons were also good but local plants are also competitive in terms of size and growth vigor. 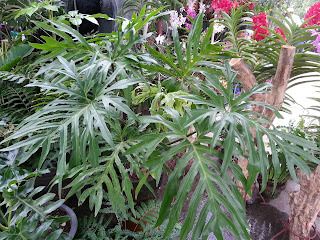 Although I managed to take many picture, I will just post those with Philodendrons in them. Not many, but the prices were very competitive. I really wish I could bring some home but I did not apply for permit. May be next time. The small plants in the upper left tray were Philodendron melinonii and possibly from tissue culture. These plants were the bigger version of the small plants in the trays above. They are much smaller than their actual size when they reach maturity. When the plants in the trays in the preceding pictures grow bigger, they will look like the plants above. 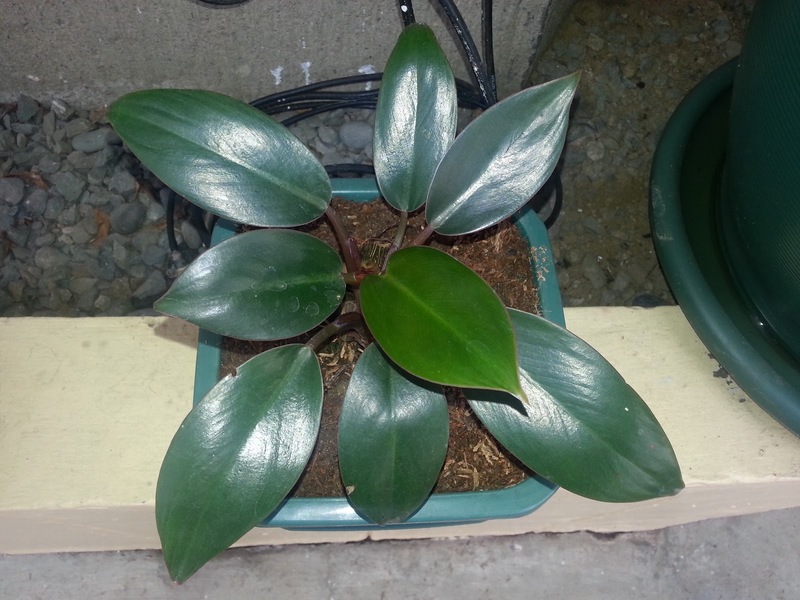 They now look like the P. melinonii that can be bought in the Philippines for PhP800-1,500 each pot. Quite expensive but their mature form is truly majestic. This picture was taken here in Manila. I uploaded this to give you an idea how P. melinonii looks when mature. 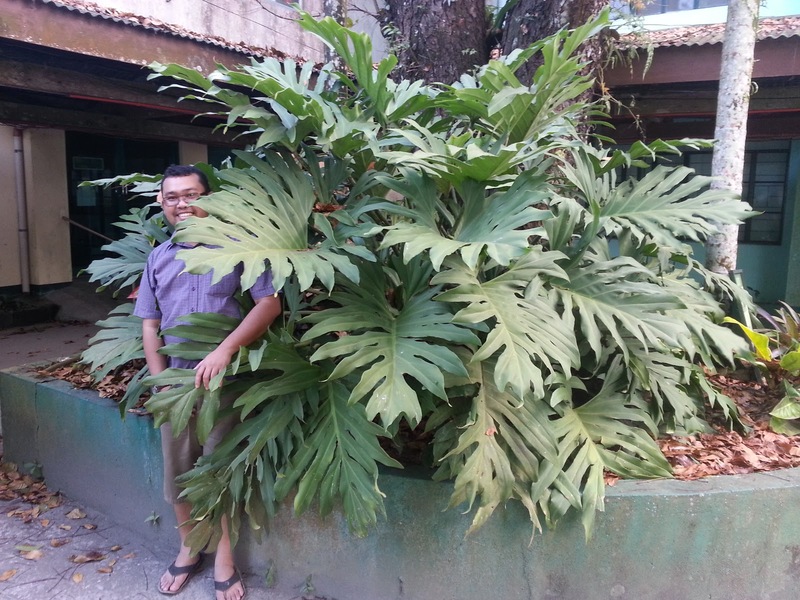 The owner of this giant plant asked for PhP20,000 for this specimen. It is almost 2 meters in spread. 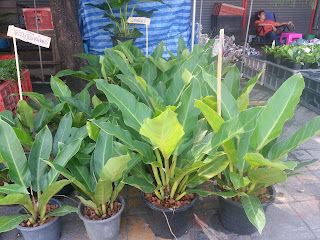 One of my favorite Philodendrons, P. martianum is quiet cheap in Bangkok. This is a mature specimen of P. billietiae, I like the leaf shape and petiole color. It is still expensive . 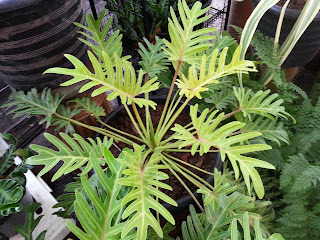 This plant is P. tortum. The leaves are pinnate, a characteristic of this species. I've never seen this plant here in Manila, though. This Philodendron looks like a hybrid. It is a climber and the leaves have striations too. I cant help but post this picture of the Aglaonemas sold in Bangkok. 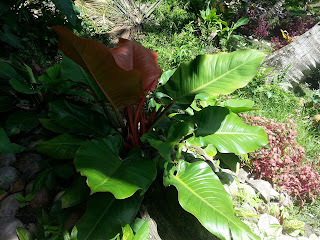 The plants at the back were really red and almost no green in their leaves. How I wish I can bring some home. Next time I'll apply for a quarantine permit so I can bring back some plants. At last, I had the opportunity to take photos of some of my Philodendrons. I repotted some of them but others were small for my pots so they will be repotted next weekend. I also went again to the Orchid Show, tomorrow is their last day. 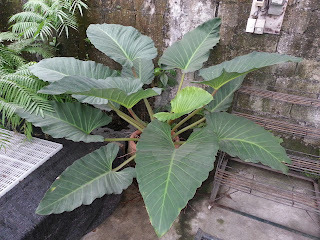 This is a big plant bought in Lipa last week. 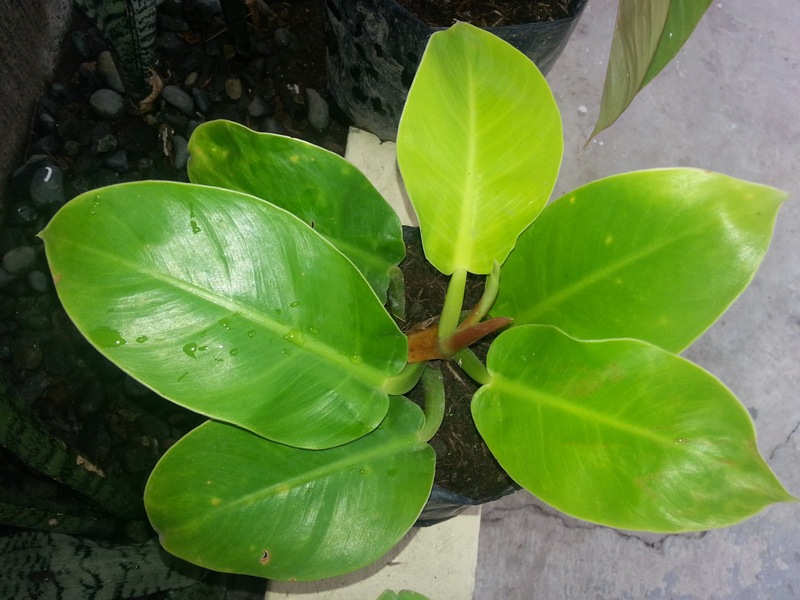 It is a self-heading Philodendron and grows quiet large. 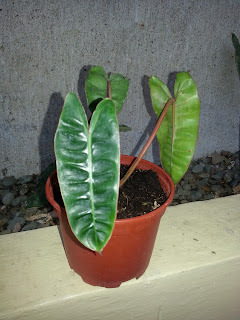 The seller told me this is Philodendron melinonii. It will surely outgrow its pot as it is one of the larger Philodendron species. 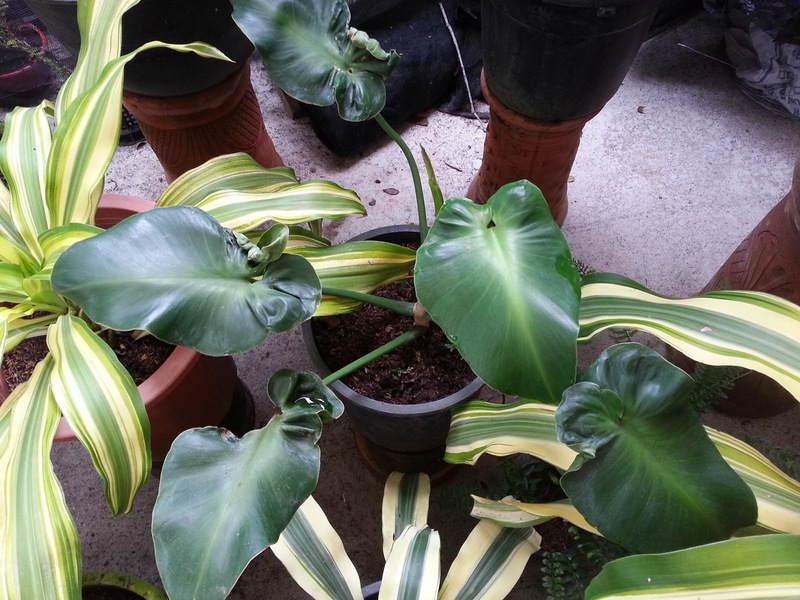 I like the glossy leaves of this Philodendron. Sadly, the seller don't know the name. This plant looks very much like P. cordatum. Another Philodendron that will outgrow its pot. I haven't seen an adult specimen of this plant. I hope it will grow bigger soon. This one, they told me to be Philodendron x 'Dwarf Congo'. It is quiet small and is great for group plantings. The new leaf of this plant is very decorative. I am excited how this will turn out when it grows to an adult. It may be related to P. x 'Prince of Orange' or P. x 'Cherry Red'. 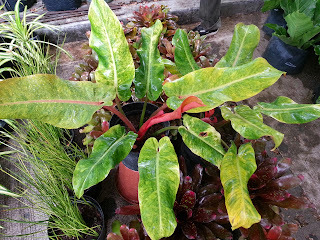 This one looked like Philodendron x 'Moonlight'. I really like the leaves of this hybrid. It needs a totem soon. It looks like a climber and I look forward for its growing in a pole. 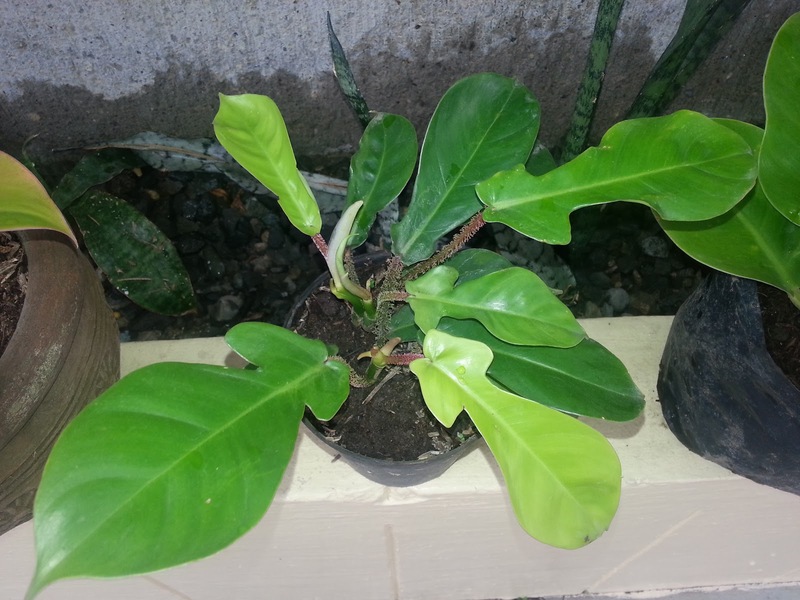 I bought this Philodendron billietiae just today. I love this species. I hope it will grow to its potential size someday. 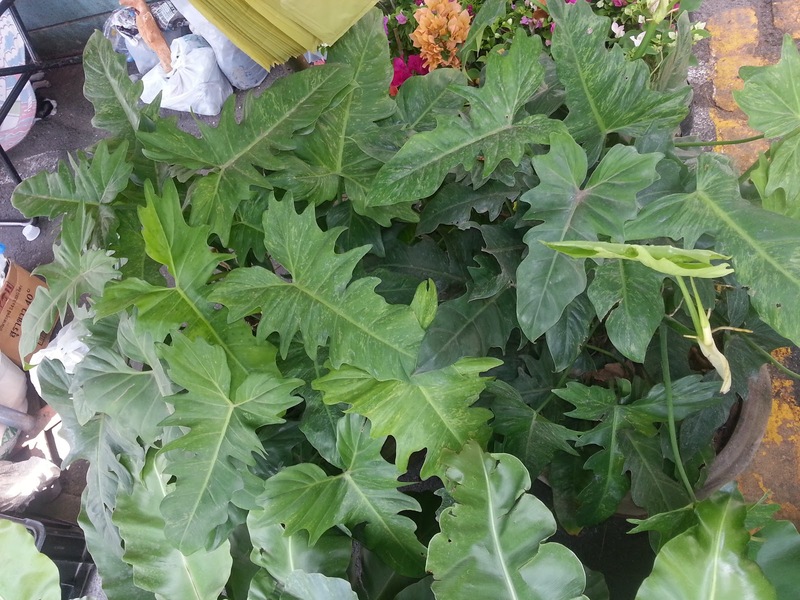 This one looked like Philodendron squamiferum. It has unique petioles with hairy protrusions. This plants is a climber and possibly a P. erubescens hybrid. A nice plant with serrated leaves. It may be P. x 'Red Empress' but I'm not sure. May your Philodendrons thrive and multiply. 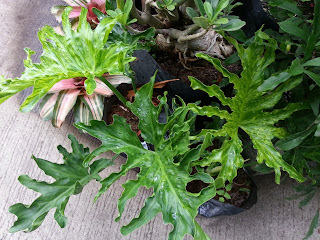 I passed by this morning at the Orchid Show to buy some pots for my Philodendron X Orlando and P. erubscens hybrids I bought in Lipa City yesterday. 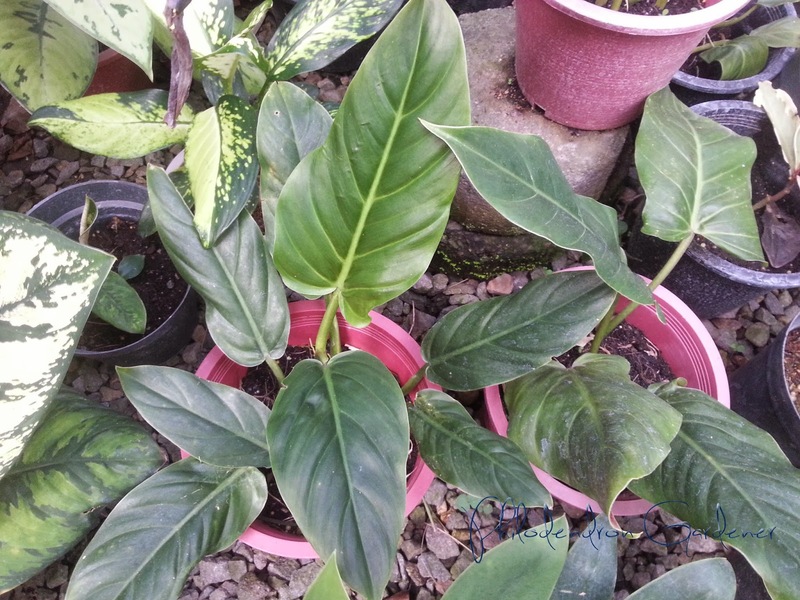 I can't help but take some snapshots on some of the Philodendrons for sale. I can't afford them because almost all are already adult specimens. 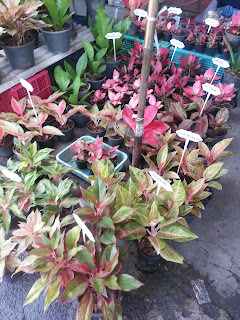 Unfortunately, no names were tagged on some of the plants and when I ask the sellers they don't know the names too. So please excuse me if I cannot identify some of the hybrids. 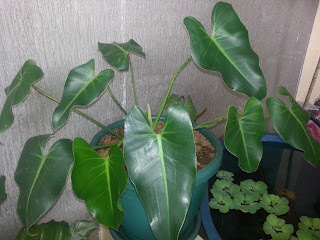 This unique Philodendron has curls at the blades. It looks like a climber. The seller don't know the name of the plant, though. 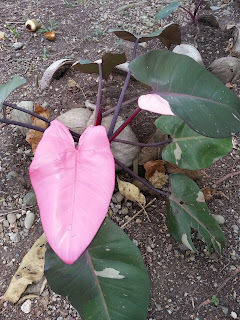 (Update 8/7/14): The plant above is an aberrant form of Philodendron rugosum. 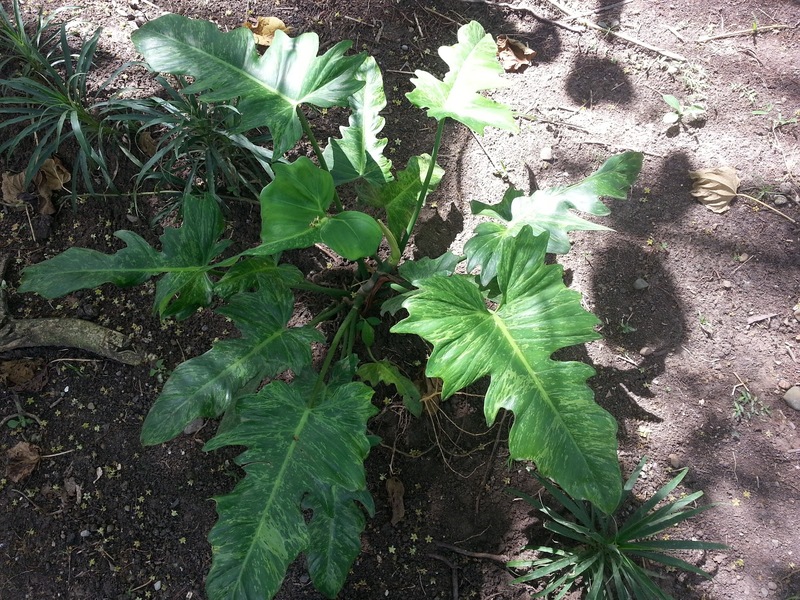 (Update 8/7/14): The plant above looked like Philodendron renauxii. One of my dream Philodendrons, P. martianum is really amazing and unique. It's swollen petioles are for storing water and becomes thinner with age and with ample watering. It is expensive for a plant this size but who cares if you can afford it, right? This is P. 'Green Congo'. Still a small plant but given the chance, it will become enormous and stately with proper care. Next payday, I'll buy a seedling of this hybrid. I love self-headers like the 'Congos". Always a delight to see, P. xanadu 'Gold' is like sunshine. Its cute and compact and is a great addition to any collection. I will have one someday. 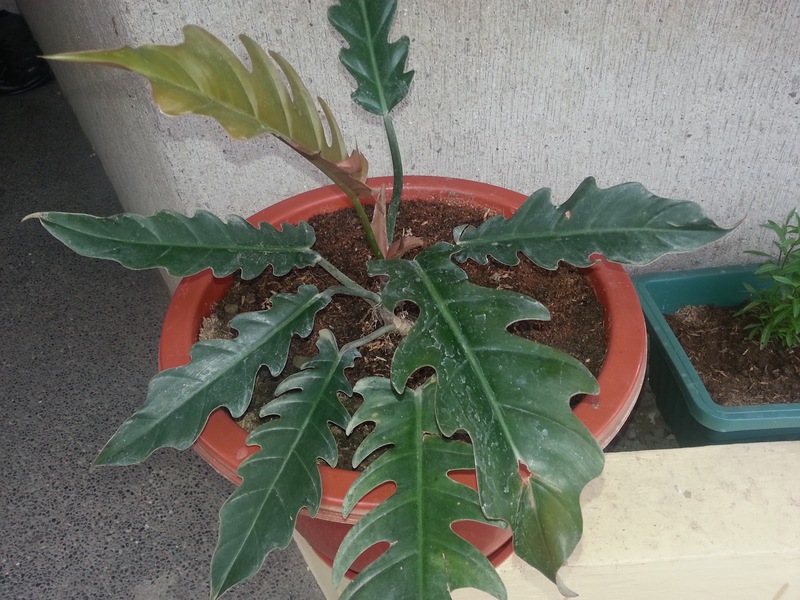 This is a Philodendron that wants to be a Syngonium sp. :) The seller don't know the name of this plant, sadly. (Update 8/7/14): The plant above looked like Philodendron barrosianum. Looking for the first time at this amazing striations makes me smile with awe. It looked like P. bipinnatifidum 'Hope' but with variegations. The owner of the plant did not come early though so I wasn't able to ask the name. Another variegated Philodendron that caught my attention this morning. Just one side of the leaf is colored. No name was given, but it's really something to behold. 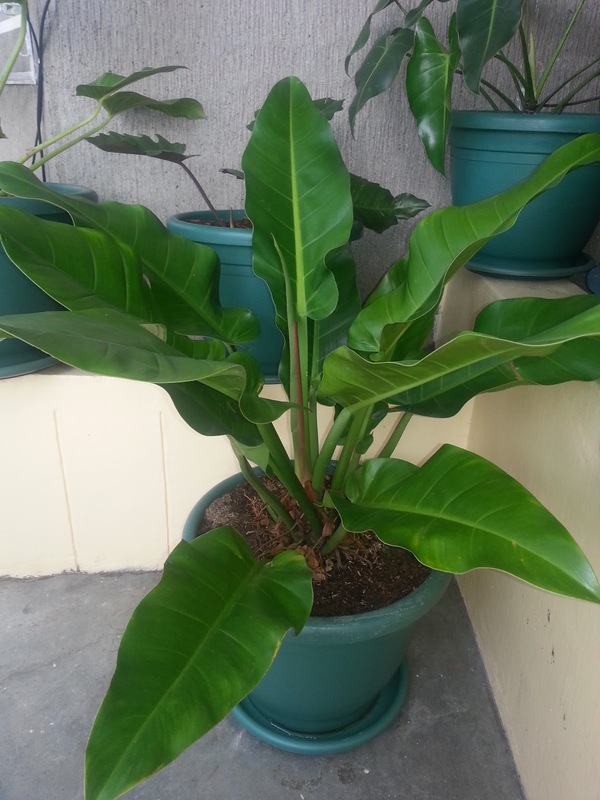 I bought a similar plant like this last week. I like its simplicity and self-heading growth. The leaves are also shiny and typical but still very nice. They call this the P. 'Spotted Congo' but comparing the two, I beg to disagree. 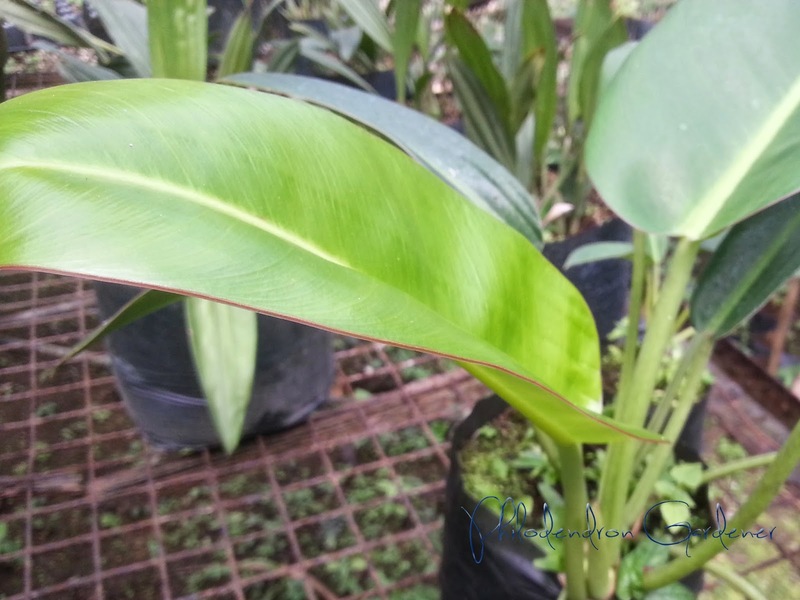 The petiole size alone is very different. 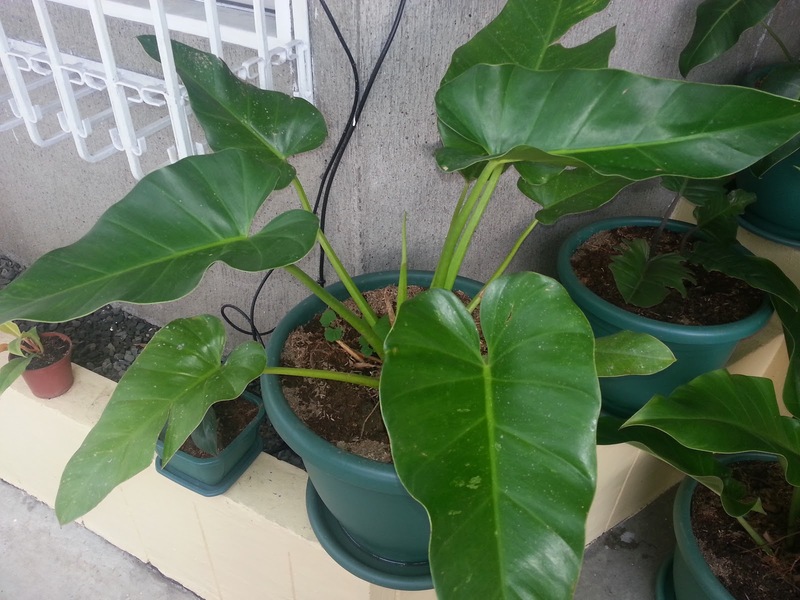 (Update 8/7/14): The plant above is possibly Philodendron cordatum. Mine also have the extrafloral nectaries typical of P. cordatum. It is a valid species and not a synonym of P. hederaceum. 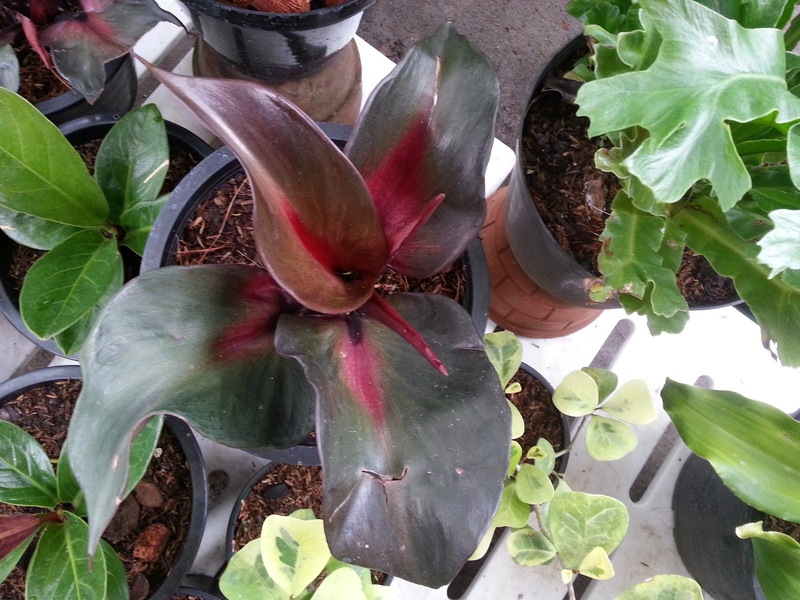 This nice plant is sold as P. williamsii, but it looked more to me like P. stenolobum. It is a nice plant nonetheless, only for the wrong name. I've read from my research that it is a common mistake to name P. williamsii with P. stenolobum. In fact, P. williamsii is rare and only a few reputable people and gardens have them. If only a smaller plant is available, am sure to buy one. 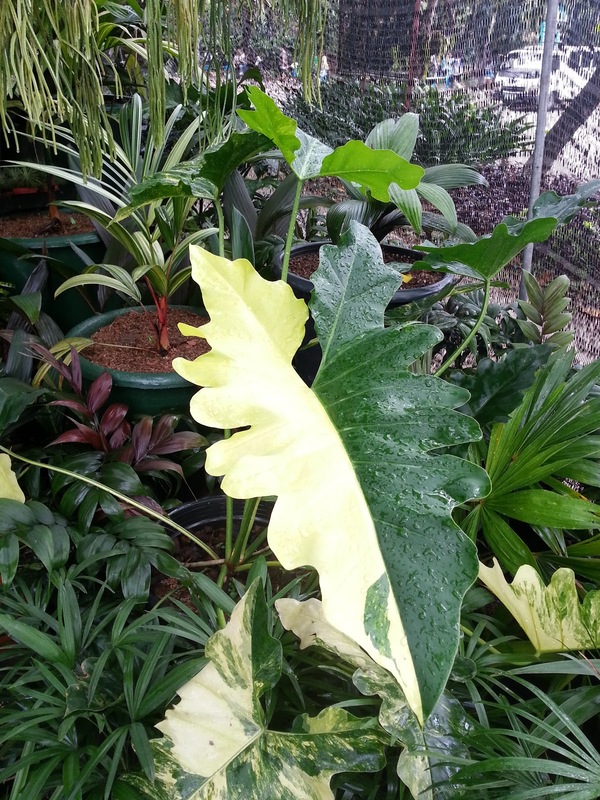 A really like the shape of the leaves of this Philodendron hybrid. The seller call it serrated Philodendron. It looked like a P. 'Ring of Fire' to me but maybe I'm wrong. I have an orange form of this plant and I hope it'll grow fast. Another beautiful hybrid that the seller can't identify. 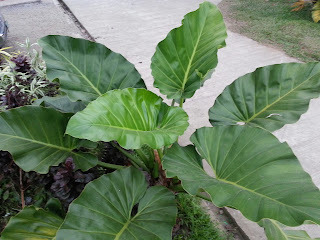 It is a large plant and its serrated leaves really caught my attention. If only they sell smaller plants of this, I want one. This hybrid has yellow stripes and the seller don't know the name also. It is a large plant and should be a nice plant indoors. This large plant may be a hybrid of P. warszewiczii, but I'm not very sure. It looked like that species in some of my research. It too is a climber. Those were the pictures taken when I visited the show to buy the pots this morning. I wish I could go back this weekend. Who knows, maybe some will lower their price, I might buy more Philodendrons for my collection as the show ends on the 11th. See you again this weekend after I finish repotting my Philodendrons. Enjoy your plants!